Growing in tandem with the successful HDB resale segment, Ohmyhome, the leading DIY proptech portal, reaches new milestones with HDB rental segment and shares features instrumental for success. In announcing the new milestone in August, Omyhome said that since its launch, it has recorded more than 35,000 users actively chatting and searching on rental. There are currently more than 1,000 non-duplicate, active rental listings on its portal. 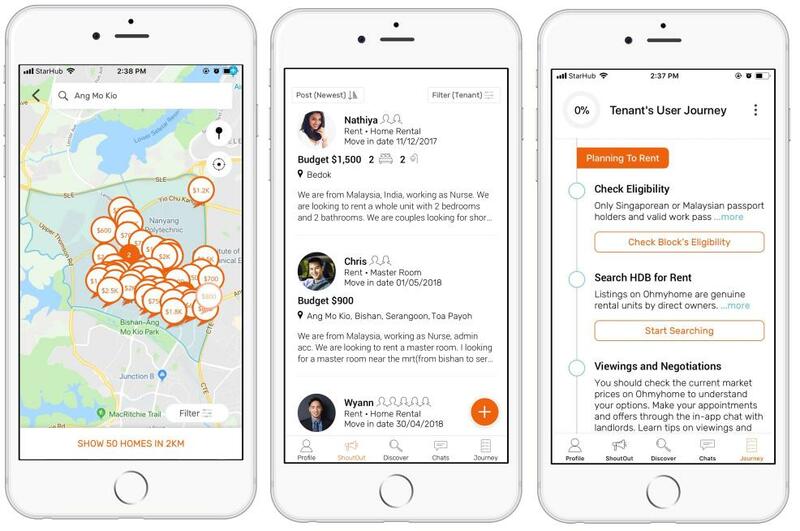 Ohmyhome aims to alleviate the search-related problems faced by tenants and landlords by providing useful features and implementing a direct tenant-to-landlord approach. This proves to be a winning formula, with some landlords receiving requests-to-view on the first day of listing. In addition, the proprietary ShoutOut feature is highly popular, with more than 7,000 listings suggested to tenants thus far. 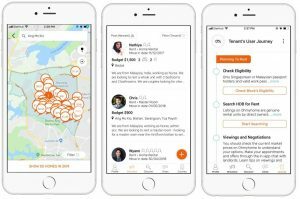 Ohmyhome’s ‘Location & Price Map’ offers a value-added feature that dynamically maps rental prices by location, making the search effortless and easy. The data visualization effectively simplifies the comparison of listings. The feature is especially helpful for foreigners looking to rent but are unfamiliar with Singapore. Now, they can easily see the listings available within a 2 kilometre radius of their desired locale. A first in the proptech industry, ShoutOut™ allows tenants to post their requirements, and simply await suggestions from home owners. This streamlines the suggestions to tenant’s specific demands, saving them valuable time. The ShoutOut function on Ohmyhome has 7,000 suggestions for rentals. Lack of knowledge about location, nearby amenities and transportation, and unit information, is a common issue faced by tenants, and the platform directly addresses this problem by readily providing such information on one convenient page. It automatically serves essential information such as floor area, type of apartment, and proximity to public transportation. At a glance, users are equipped with ample knowledge to make an informed decision on their rental. The “Journey” tab provides users with a detailed yet easily understandable, professional guide on the entire process, including a list of pertinent questions to consider. “It would be useful for landlords to identify their buyer profile, and if they wish to add value and rental income to the property before advertising it, they can renovate it with the buyer profile in mind. For example, a home located near several popular schools will have a better chance of attracting young families. Ultimately, whether or not you have plans for renovation or refurbishment, recognising your buyers will help you better strategize ways to market your property. Mr Paul Ho, the chief mortgage consultant at icompareloan.com said that DIY proptech tools are already disrupting traditional business operating models in real estate here. In welcoming the launch of Omyhome’s DIY proptech portal, he said the proptech tool is already revolutionising the industry, and that property agents “must upgrade or die”. Mr Ho said that iCompareLoan.com runs a full 2 – 3 days course on how property agents can produce such reports for their customers. He added that the trademarked course teaches Property Agents how to generate complicated Financial calculations using – Home Loan Report™ – in 3 mins flat. This helps Property agents to close deals faster and serve customers more professionally. Proptech (or Property Technology) is technology and real estate coming together to propel the real estate industry forward. The proptech ecosystem is flourishing now in many parts of the world, thanks in large part to ample venture capital, community efforts in local tech hubs, and an increasing realisation that there is a real need for innovation in the sector. Are you planning to invest in private properties but ensure of funds availability for purchase? Don’t worry because iCompareLoan mortgage broker can set you up on a path that can get you a home loan in a quick and seamless manner.